A spectacular airboat ride where alligators are plentiful, a relaxing boat cruise through the Everglades National Park where dolphins play in the wake, a delicious, traditional lunch with alligator appetizers, a wildlife drive with the Big Cypress Preserve, and a nature walk full of gators, birds, and other wildlife are all part of the Everglades Day Safari in Florida. 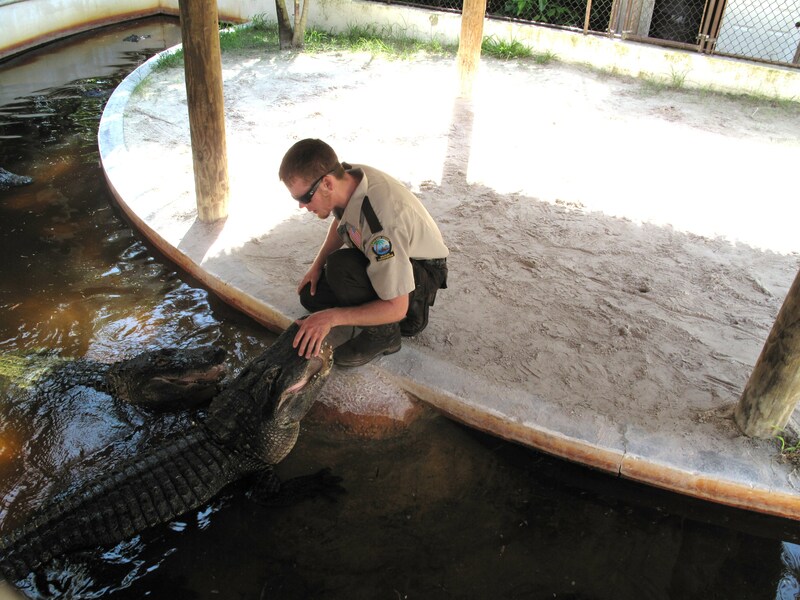 The Everglades Safari is the only full-day, guided eco-tour of the majestic Everglades. 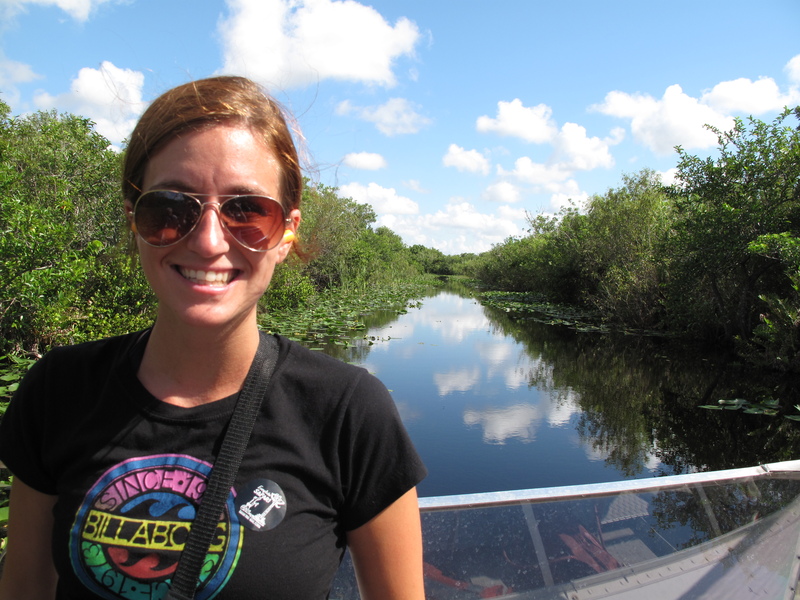 Each part of the tour explores the four main ecosystems of the everglades. 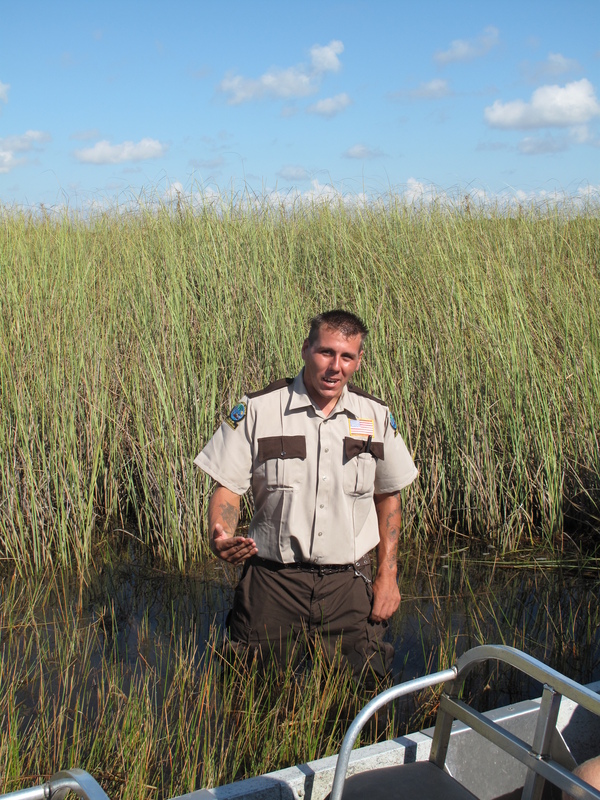 They include: the sawgrass prairie, mangrove estuary, cypress swamps, and pine savannah. I had never seen an alligator so close before. He could lunge out of the water and attack at any time. 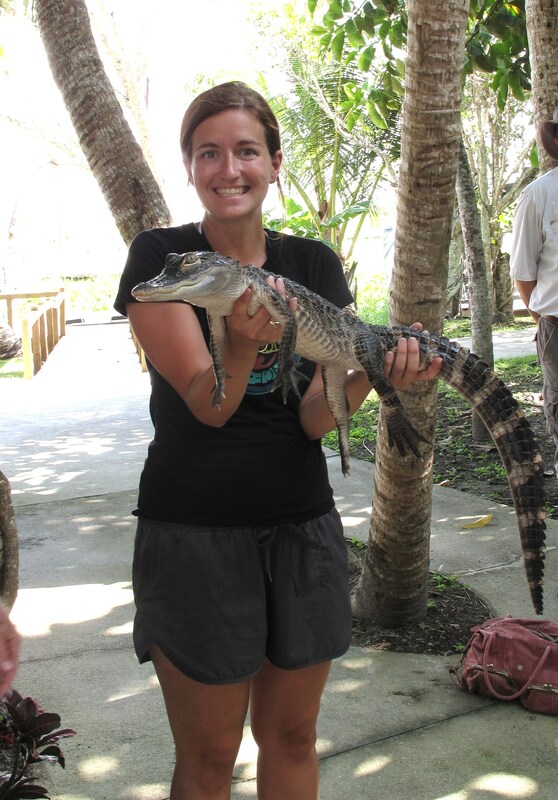 I’d also never held an alligator before or eaten one, but this tour was a day of first for me. 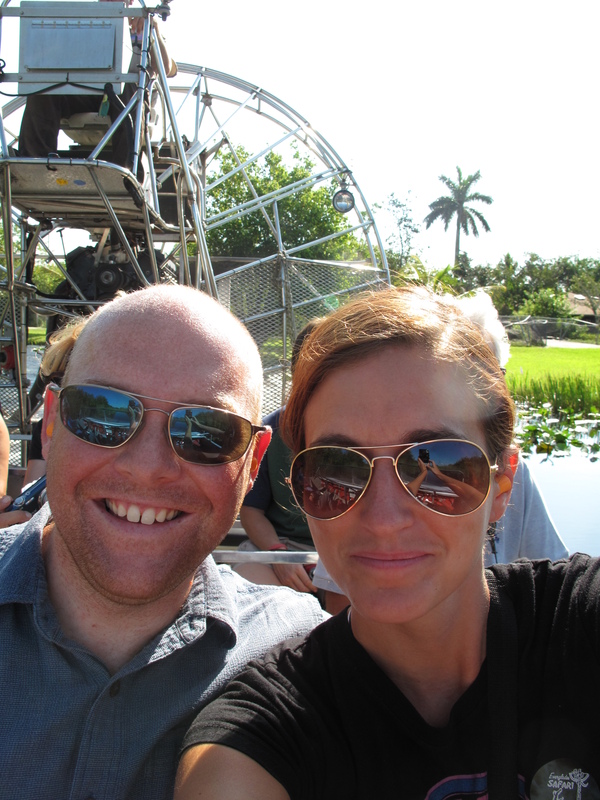 The first leg of our adventure was an amazing airboat ride through the sawgrass prairies where there are more alligators per acre than anywhere in the world. Along the way, our guide actually got out of the boat and into the alligator filled water while he explained the unique eco-system and environment. Honestly, I never heard a word he said; I was too busy focusing on every movement in the water. Finally, a baby alligator was brought out and I hesitantly held on as my husband took a picture. I didn’t sign any waivers that said I wouldn’t sue if something happened, but then again, if it bit off my hand, there wouldn’t be too much that they could do to put it back on. Regardless, I held the baby and put on a smile. Going first or last both had advantages and disadvantages so I worked my way into the middle of the line and hoped for the best. I left with all my fingers and both hands, but my heart rate was certainly elevated. Our nature walk was a leisurely stroll into the cypress swamp area of the Everglades. Thankfully, we didn’t see any of the abundant wildlife including rare Florida panthers, bears, otters, and minks. 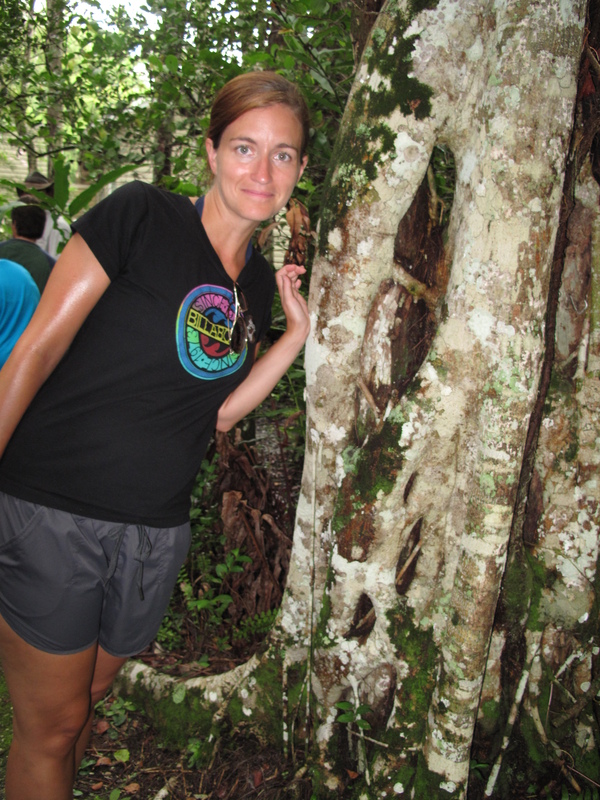 We did see old growth cypress trees and ferns abound and visit the Clyde Butche Photo Gallery. Our wildlife drive ventured into the sawgrass prairies and open savannahs of the “Big Cypress”, a 780,000 acre National Preserve in the Everglades. 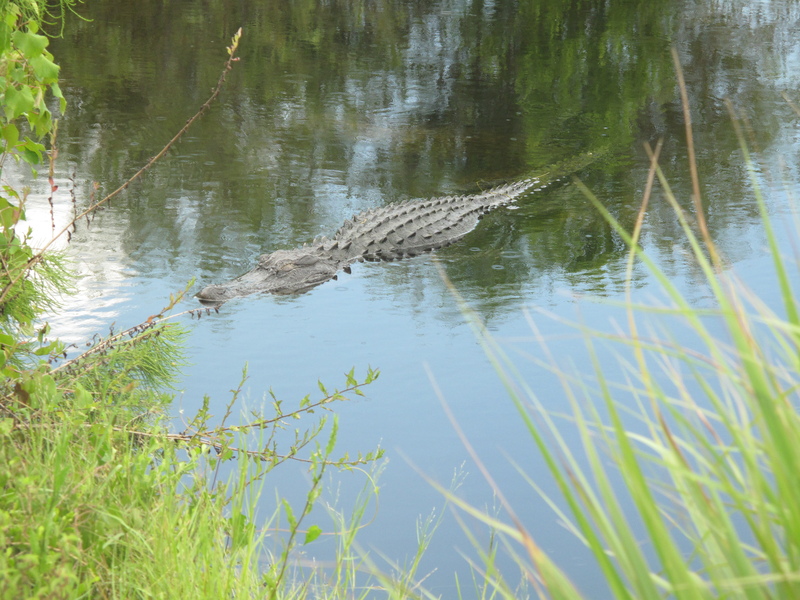 We saw dozens of alligators hanging out alongside the road, several turtles and dozens of species of birds. 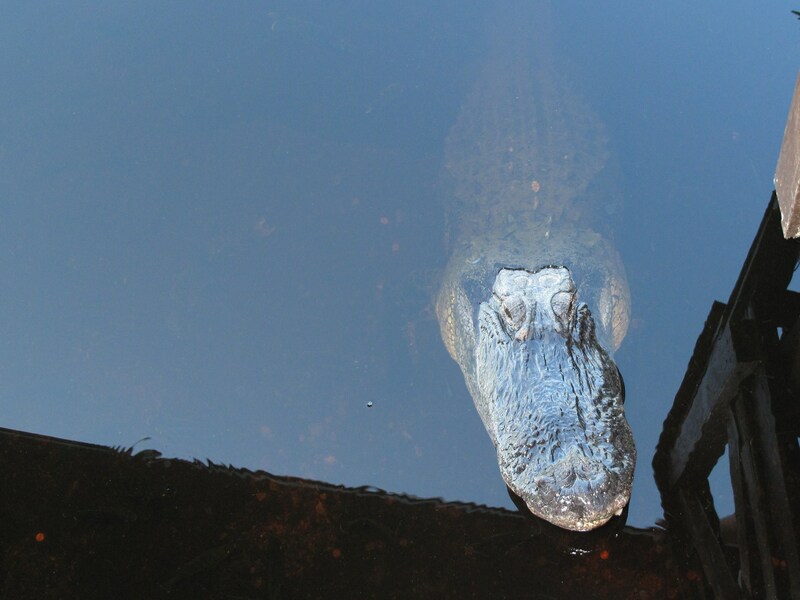 Although you never know what could show up in “Big Cypress” we weren’t lucky enough to see any extreme wildlife, other than the alligators that is. Southern food, a unique atmosphere, and friendly hosts made the Seafood Depot a perfect stopping point for lunch. My hesitation to try the alligator fled when I was the only one with it still on my plate. What started out as a nibble ended in scarfing down the remaining dish. It tasted very much like chicken and I’d welcome the chance to have it again. 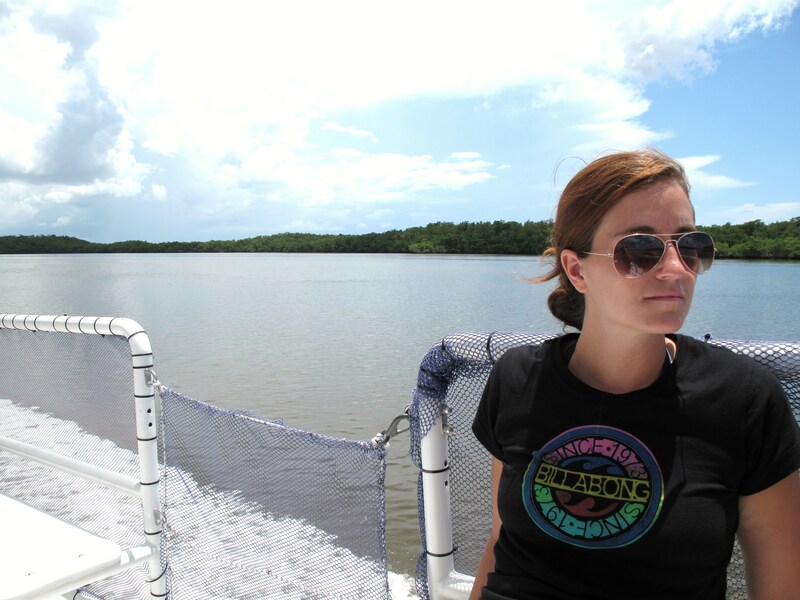 The relaxing, 90 minute, Everglades National Park boat ride was the final leg of the ‘glades tour. We navigated through the mangrove estuary known as the 10,000 Islands. 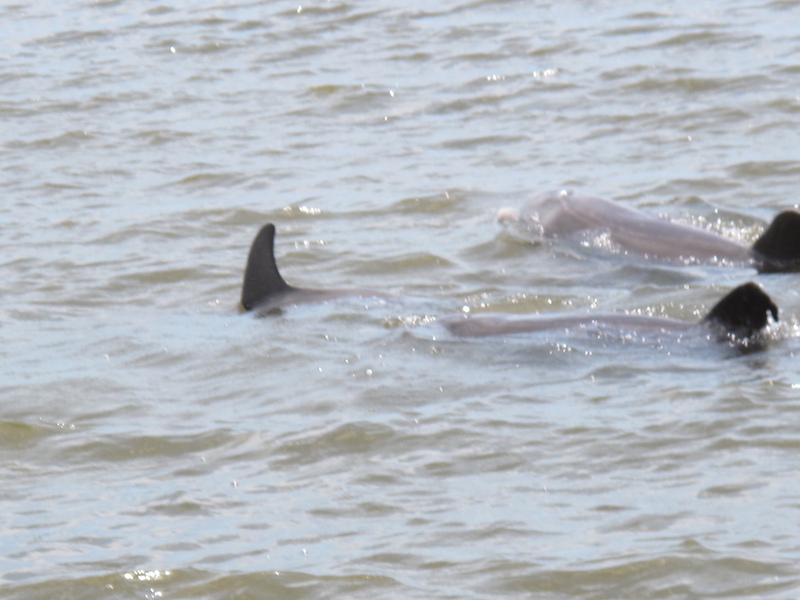 We spotted dozens of dolphin on the way out towards the Gulf of Mexico. It was beautiful and mesmerizing to watch them jump, splash, and play alongside the boat. They are such interesting creatures with a playful side that is intriguing. I’d hoped to see a manatee during the day, but I wasn’t disappointed in any way. What an interesting experience that couldn’t have happened anywhere other than Florida. While we were exhausted by the end of the day, we would do it again and recommend this trip to everyone in the area. For more interesting posts on Florida, check out our guide to Palm Beach or our US Travel Guide.